One sentence. One that has been a running mantra in my head for years. A word I know better than my own name. When I walk into a room. Breathe. When I talk to someone new. Breathe. When the phone rings. Breathe. When I'm standing in front of a counter trying to order food. Breathe. When I'm afraid of what people are going to say or what they think of me. Breathe. Anxiety has shaped my life. It stopped me from going to college. It stopped me from having healthy relationships. It stopped me from believing in myself. For a really long time, it stopped me from having a life. When I was 11 I started having anxiety-induced stomach aches. By 14, I was having panic attacks. 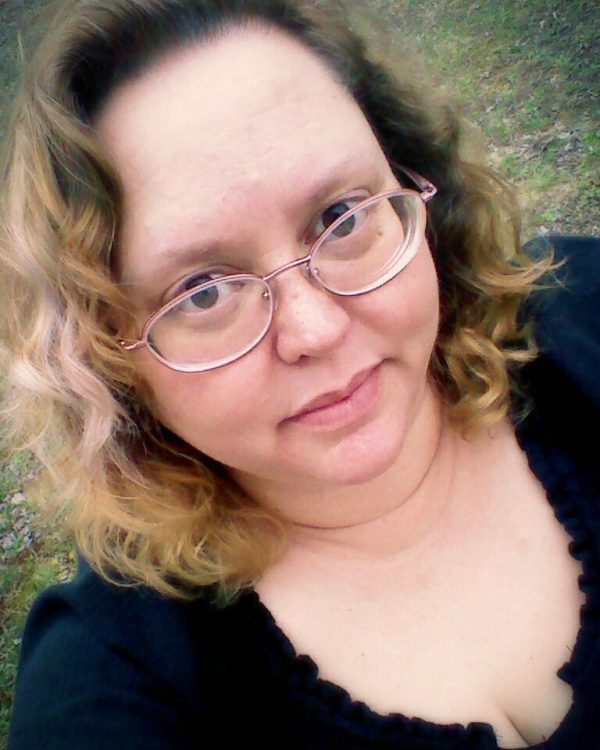 At 16 I started to get stress headaches and migraines. At 20, I was borderline agoraphobic. My main coping mechanism was avoidance - avoid, deny, and ignore all of the things that made me anxious and if that didn't work, then I'd eat everything I could get my hands on, play a video game, sleep, and do my best to check out on life. I was miserable for years. I was anxious for years. I couldn't speak up, I couldn't tell people "no", and that led to so many harmful experiences in my life. I'm not a doctor. I haven't 100% cured my own anxiety but it has gotten better. It has gotten so much better. I can function. I can breathe. I can go weeks without my anxiety rising above a one or two. I run my own business. I bought my own home. I run an online group of almost 3,000 people. My anxiety isn't gone, but it's also not controlling my life. Breathe. is a collection of the things I've learned in the last ten years that have helped me truly manage my anxiety. It's full of healthy coping mechanisms and strategies to start facing your anxiety instead of avoiding it. This is not your basic "Go meditate, jog, and start eating healthy" - advice (although I do touch on those things - why they're hard to do when you're anxious and how to try to do them anyway). It does include a lot of DBT (dialectical behavior therapy) and a mix of a lot of different approaches. There's something for everyone. The point of this workbook: Help you to discover healthy coping mechanisms that work for YOU. 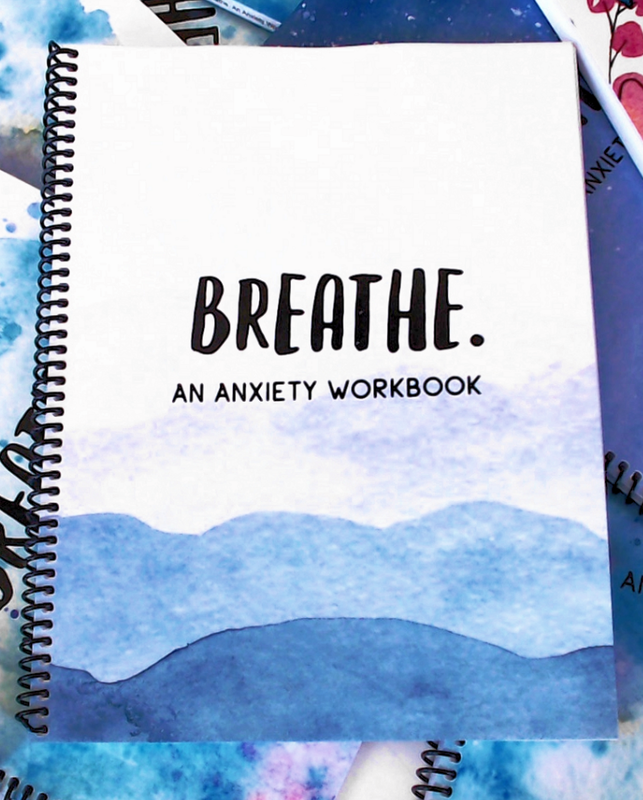 “This is the first time I have used any kind of workbook to tackle my anxiety and it is pretty amazing! For the past 16 years I have pretty much just dealt with the physical and emotional symptoms of anxiety without actually working through it. I know that anxiety can be a lifelong work in progress, but I feel like I am so much more prepared now. 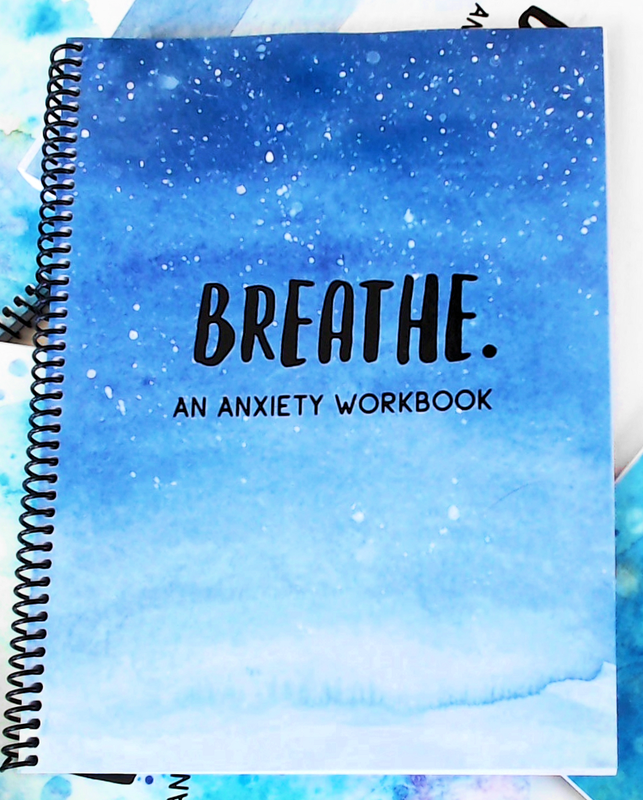 You can use the Anxiety Workbook/Journal for your retreats, private practice, e-course, or program. Free to non-profit organizations, just fill out this form. For for-profit organizations/businesses/private practices/retreats/ecourses. You can pay a one time fee and this gives you the rights to distribute it as many times as you wish within your paid program. Use the code FTW18 and save 10% when you buy 15 or more print books. 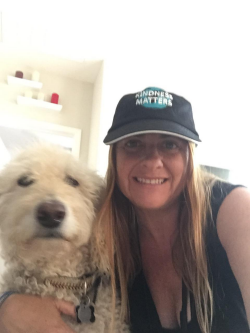 “Breathe offers down-to-earth advice on dealing with your anxiety from the viewpoint of your friend who has been there, done that. When you purchase the digital version you are getting a .pdf file that you download to your computer and print out from home or fill it in straight from your computer using Adobe Acrobat Reader. You also get the downloads for each of the different styles (including black&white) so you can pick your favorite! 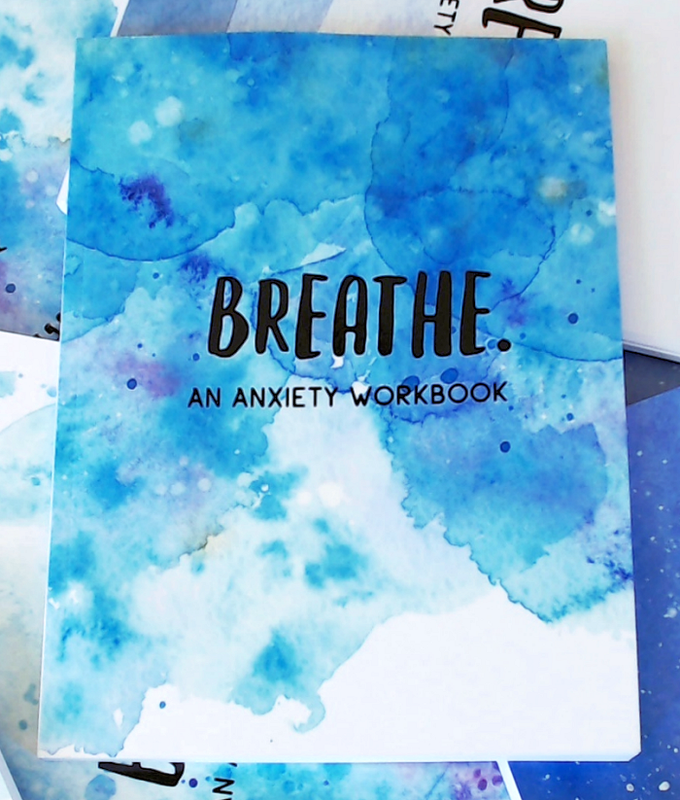 142 pages of worksheets, anxiety tips, and advice from yours truly! You will instantly receive the download to a .pdf which includes SIX different files for you to download based on your favorite design! 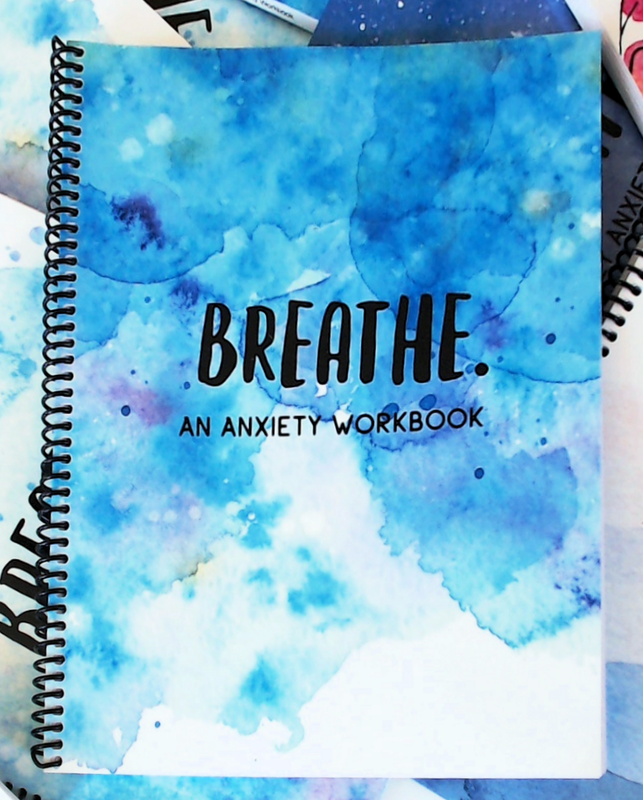 100 pages of two different worksheets - a daily anxiety log and a worry journal. You will instantly receive the download to a .pdf which includes SIX different files for you to download based on your favorite design! Do you want all of my digital products? “Wow! I wish I had this book 10 years ago when my anxiety was at it’s peak. 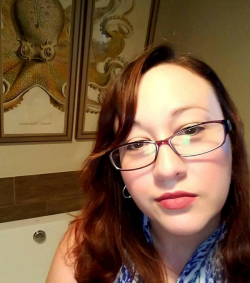 I am currently a Behavioral Therapist at a non profit organization where I work with children/adolescents who struggle with low self-esteem, aggression, depression, anxiety, self-harm, suicidal ideation and attempts and more. For printed workbooks, I use a print-on-demand service, Lulu. That means you place your order through their website, they print your workbook/journal within 3-5 days, and then they ship it out to you. All workbooks/journals are coilbound for easy page-turning and writing. For all you lefties, I have a paperbook bound option too! 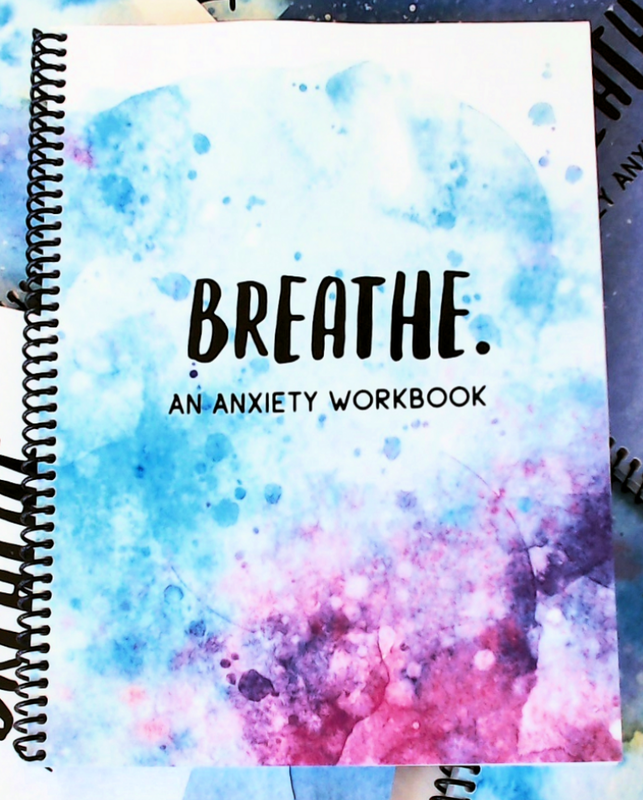 Workbooks: 142 pages of worksheets, anxiety tips, and advice. 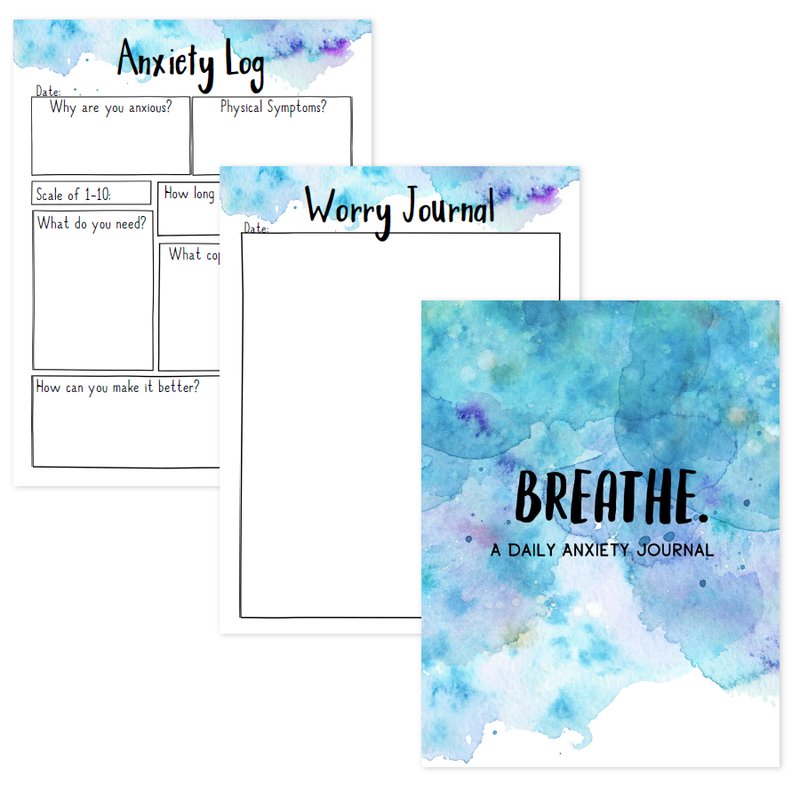 Journals: 100 pages of two different worksheets - a daily anxiety log and a worry journal. This is a great companion to the workbook! Before you order: Check out Lulu's front page for the daily discount! When I first started creating "Breathe." I asked in my Facebook Group whether you wonderful people wanted the books to be coilbound or perfectbound. Coilbound won out by a pretty large margin and then I discovered that for left-handed people it makes it a bit more difficult to write. Soooo I made one version that's perfectbound for all you leftys out there or anyone that prefers it over the coilbound style. I just love you all like that. 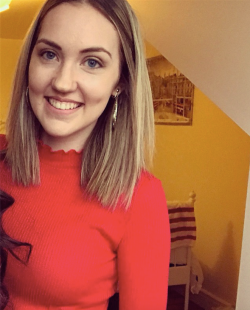 “As someone who struggles with both social and general anxiety disorder, I am not unfamiliar in experiencing panic attacks and overwhelming irrational fear daily. The Breathe. 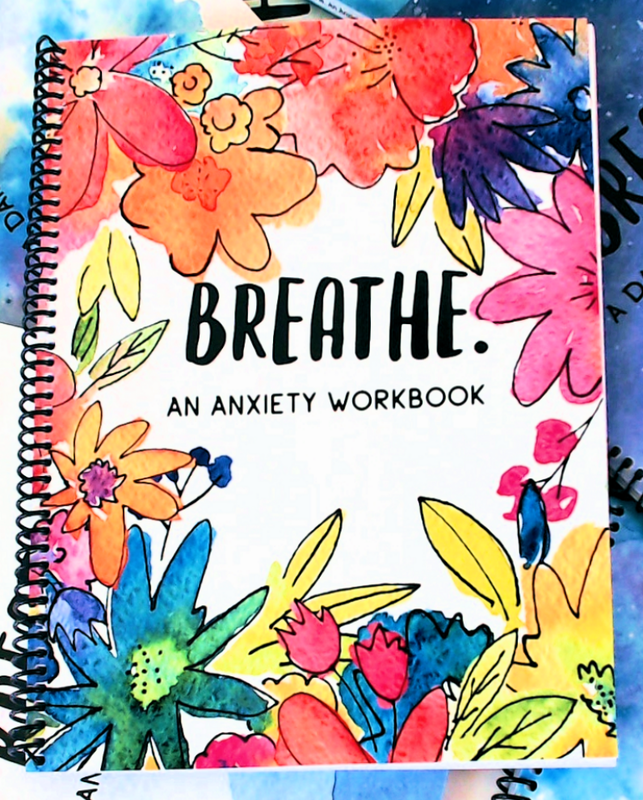 workbook is an invaluable resource for those suffering with anxiety and searching for peace of mind. 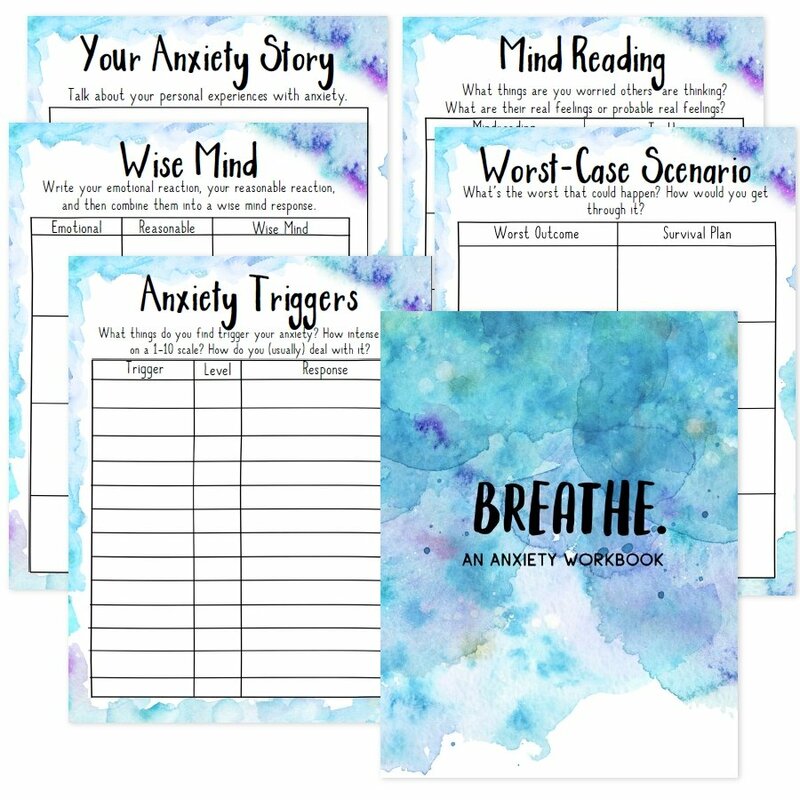 Highlights from this workbook include the interactive worksheets on breathing techniques, mind reading, bravery records and anxious predictions. The Breathe. 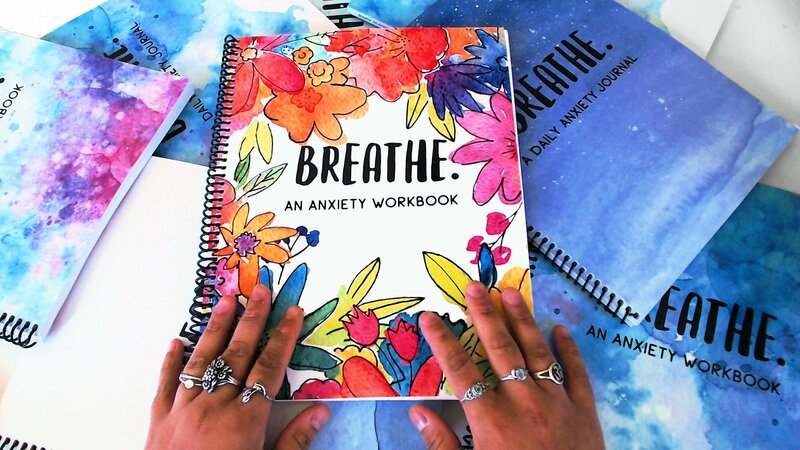 Workbook does an excellent job at explaining the application of dialectical behaviour therapy skills for those struggling with anxiety and panic attacks. Not only will readers gain a better understanding of what these problems are, they’ll also learn some sensible and effective skills to cope with them. 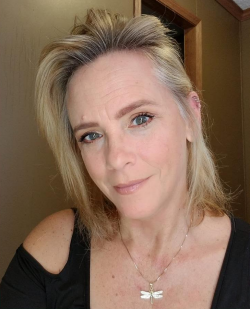 “I was diagnosed with PTSD and General Anxiety Disorder some years ago, results of an abusive childhood and military service. The mindfulness strategy has been the most successful for me in dealing with the biggest portion. The other has been to charge head first into and through fears. Being aware of the moments it kicks up, acknowledging it and figuring out what triggered it has been key and your book gives the reader help to lay all this out. Each page I read I just kept saying to myself yes, yes, yes all the while feeling the moments burdens/stresses lighten. The digital version of Breathe. (the workbook and journal - black&white versions) are free to non-profit organizations. You can print out the whole thing for your clients, use certain worksheets in your support groups, or anything you think would be beneficial to the people you work with. All you have to do is fill out the form to the left and I'll get back to you within a week. Thank you for doing the work that you do.